Now obviously, being Team Supercar in this shootout looks simple enough; it’s a walkover to file not so much under ‘easy win’, but more ‘harder to lose’. 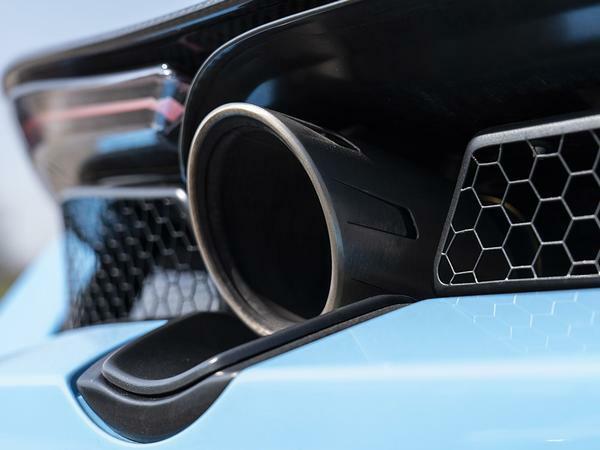 The McLaren is a faster, newer, more dramatic and more expensive take on the Alpine’s mid-engined, turbocharged, driver-focussed sports car. With another 460hp. Not since AC Milan were 3-0 up at half time in that Champions League final against Liverpool could defeat be snatched so cruelly from victory. And it’s not going to be. 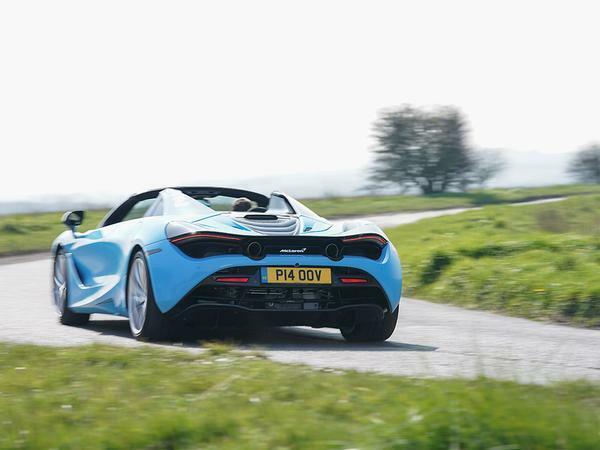 That’s because, while the prosecuting PHers (or maybe just Nic), will talk about the Alpine’s real-world validity, the accessibility of its performance on B-roads and the reward it offers the driver at sensible speeds, fact is the McLaren still has it covered. Because it does all that, not simply just as well, but even better. While also being a bonafide supercar. Hopefully it’s registered over the past few years that McLaren’s dedication to genuinely interactive supercars has won it quite a few fans. 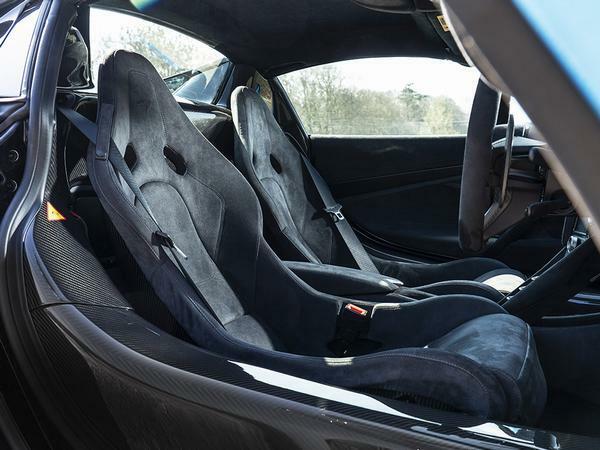 Everything from 540C to P1 puts a deliberate emphasis on the driver’s enjoyment of the process; they’re all ballistically quick – this 720S can hit 124mph in less than eight seconds – but each makes a point of ensuring the driver is central to that experience. The ‘big Lotus Elise’ cliché has been trotted out countless times in relation to McLaren’s Super Series models; hardly original now, but it remains applicable, for there’s simply nothing else of this power and performance that makes the driver feel so involved with what’s going on. Don’t assume that all supercars do this, either. As the push to automation continues, so it often feels that some manufacturers are preparing us for the switch by distancing drivers from the driving experience with comatose steering, pedals that act like switches and so on. 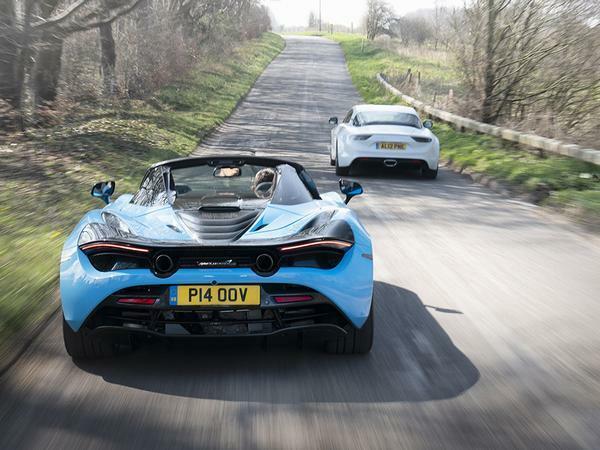 McLaren’s peerless calibration of control weights, pedal positioning, visibility and feel didn’t happen by accident, and it deserves the utmost praise for doing so. Because it makes the cars brilliant fun. Less than 70mph in a car capable of nearly three times that should feel anodyne; the truth is anything but. 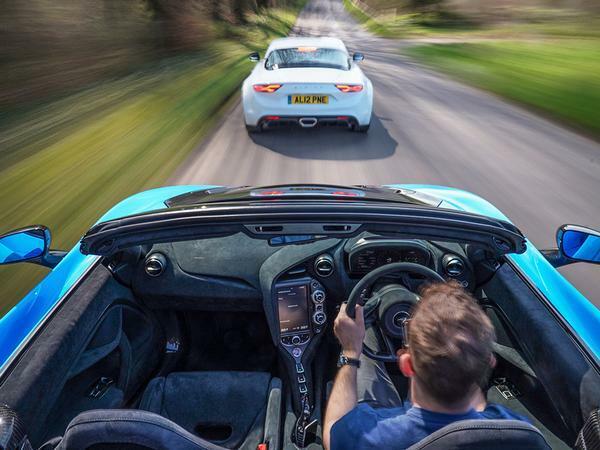 And yes, it suits the Alpine just nicely too, but the fact is the McLaren feels as at home on a British country road as the little A110 does. Perhaps more so. And that’s a staggering achievement. For a modern sports car, the Alpine has quite nice steering; the McLaren’s is exquisite, the process so ordinary in theory yet the very opposite in practice. The immersion and the enjoyment from pointing a 720S down the road makes it not so much steering as kneading the car beneath you, constructing the path you want to take with fingertips and the end result perfect. Every time. 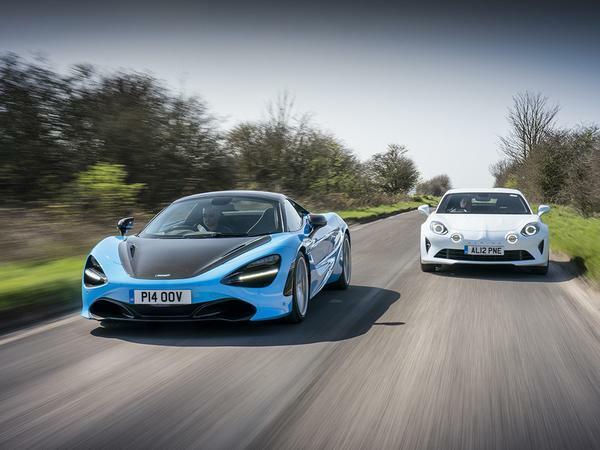 The Alpine rides harmoniously, but the McLaren rides with even greater poise, at any speed. While the Active Dynamics panel is there to further pin down body movement, the standard ProActive Chassis Control II setting delivers all you could ever want. 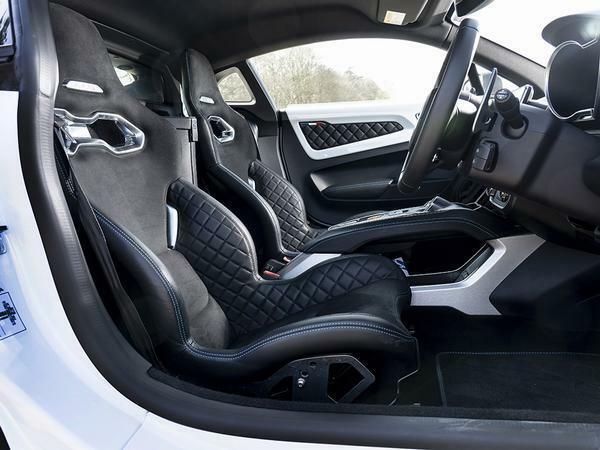 The Lotus analogy extends further, the McLaren’s spooky ability to combine ground skimming stance with pin-sharp dynamism and genuine comfort redolent of Hethel’s finest – only even better. And that’s something to enjoy as much at 30mph as it is at 130mph. 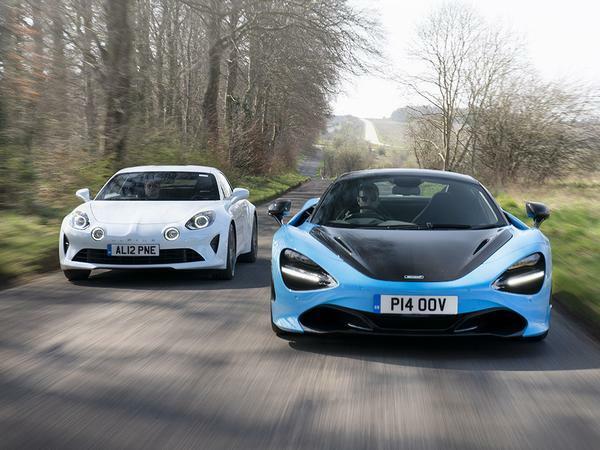 With a third of its total power (or about what the Alpine has), the 720S would still be a better sports car, for all the reasons listed above. With nearly 100hp more than an F1, the Spider can then do outrageous supercar very, very well indeed in addition. 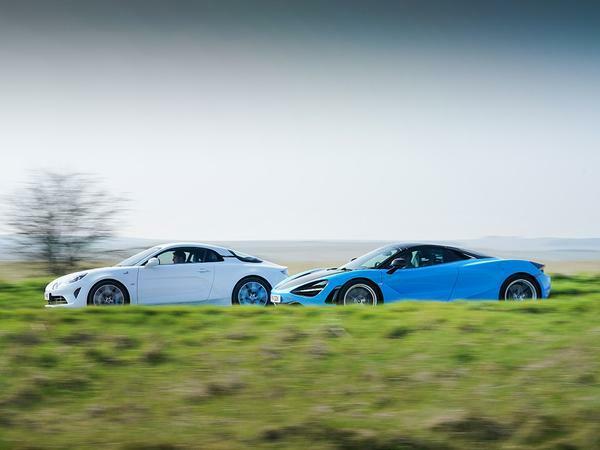 This duality is what makes the latest Super Series so compelling, and so deserving of praise; it’s both a great sports car and a great supercar, two very different criteria sets and ones which are very seldom so convincingly met. 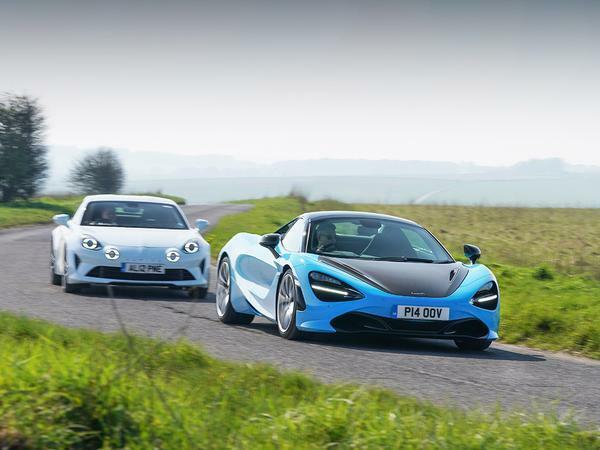 The 720S can engage, entertain and enthral like the very best sports cars - rather like an Alpine A110 in fact - while also being capable of warp speed when the situation suits. That might be less frequently that you might hope, but with driver appeal like this you’ll struggle to care about going that fast. Cards on the table: I love the 720S. Matt's right: it's phenomenal. If it's not the best supercar you can buy, then it's definitely in a class of two. And thanks to the formidable and ceaseless advancement of the segment, by definition that makes it one of the best supercars ever made. Being able to lower the roof on the Spider is simply the piece de resistance. None of this, however, spares it from the usual limitations. Sure, it's comfortable enough to be driven across a continent and there's space in the nose for an overnight bag or two (if you pack light) - but I still get chills parking it anywhere that isn't under lock and key, and truthfully I'm not quite vain enough to relish the attention it receives at every turn. Then there's the terrifying prospect of its price. The Spider starts at £237,000. 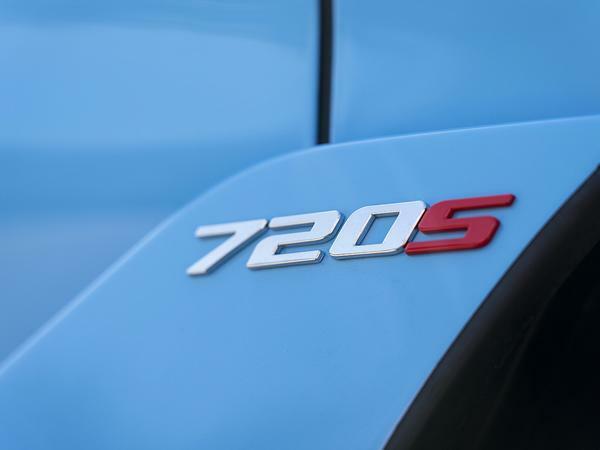 That's fine - it reflects its market value, after all - but it also means that every 720S will end up in the hands of the lucky few. Forever. 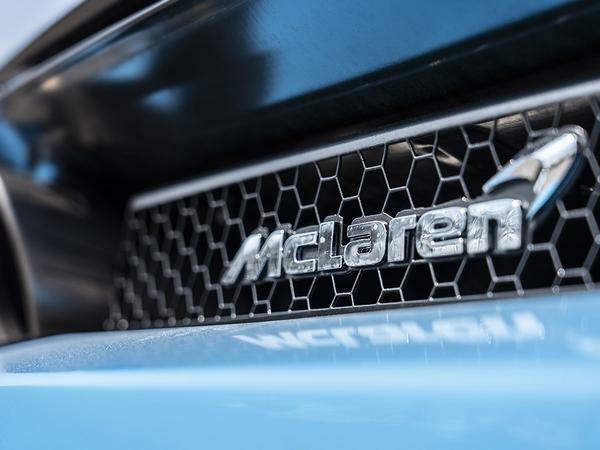 Consequently, and not unlike an oil painting condemned to a bank vault, McLaren's technical achievement is something that most of us will only enjoy from a considerable distance. Alpine's - or, more specifically, Renault Sport's - triumph is more of the National Gallery gift shop variety. You can touch it aplenty. Hell, if you're prepared to wait in a long line and stump up the premium, you can even buy one. Wait a decade or so and chances are you probably won't even have to break the bank. Comparative affordability doesn't prove the A110's case, of course - but it's the open door through which the remainder of its brilliance romps. 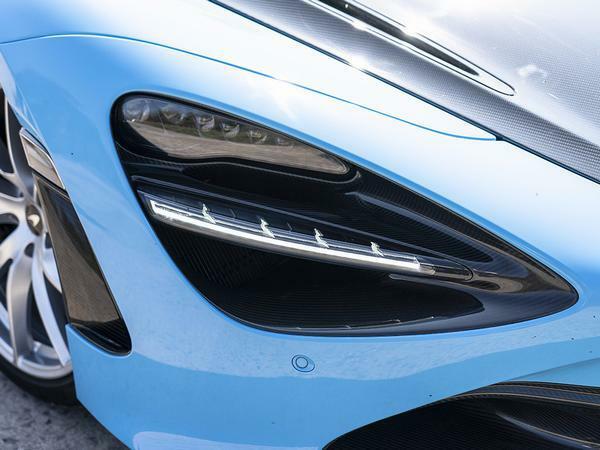 Even the most oblivious layman would expect the 720S to be exceptional because it looks like a flattened Henry Moore sculpture and goes like a grounded rocket. 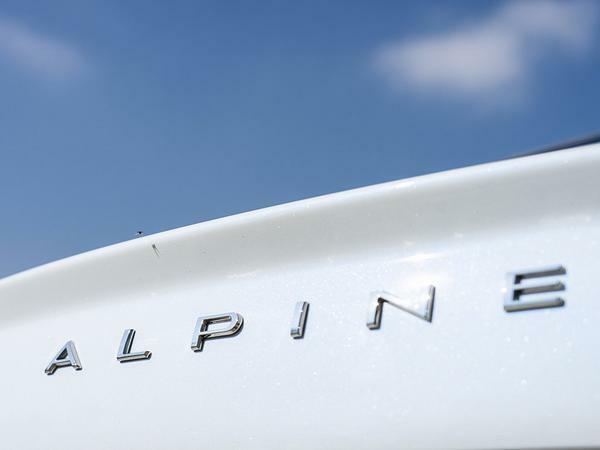 The Alpine is just a small French sports car with a useless boot. Yet it is the one to turn you into a true believer. Given the modest sum of its parts, that ought to be impossible. A like for like comparison of most components is virtually redundant. No mass-produced four-pot in the world holds a candle to Ricardo's hand-built V8, and certainly not Renault's unremarkable 1.8-litre unit. Ditto their respective transmissions - seven-speed dual-shifters both, but relatable only in name. 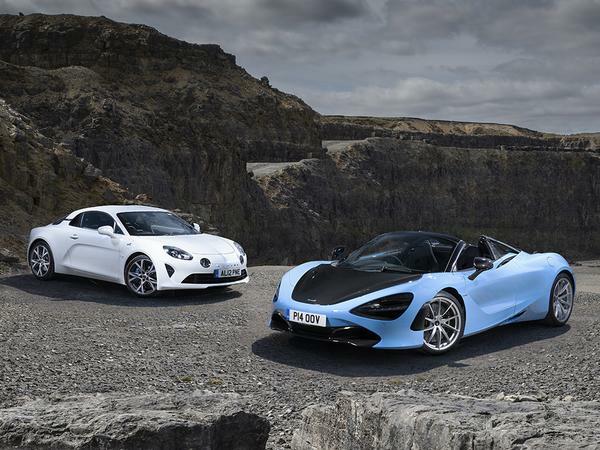 Even the A110's clean-sheet body and chassis design, both engineered from aluminium - and quixotically brilliant from a mainstream manufacturer - pales next to the carbon fibre Monocell that McLaren built specifically to knock Ferrari from its high perch. Woking gets to make abundant use of composite because it produces cars in relatively low volumes, and is free to pass on the high cost of its manufacturer to the customer. Alpine cannot. It does, however, possess a trump card. The A110 is small. 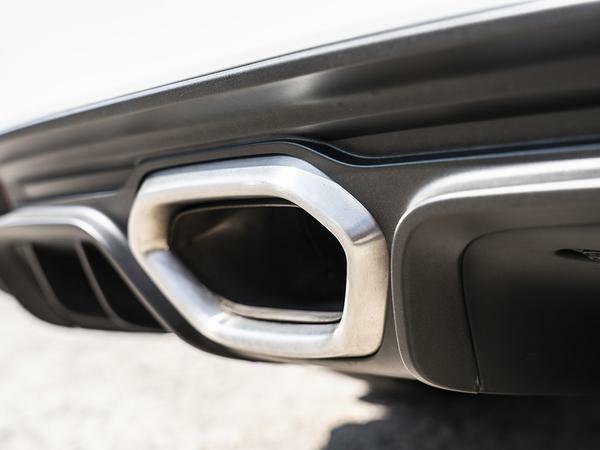 And while aluminium is not as light as carbon fibre, it still delivers comparatively low mass when used sparingly and cleverly and when required to only carriage a compact engine. 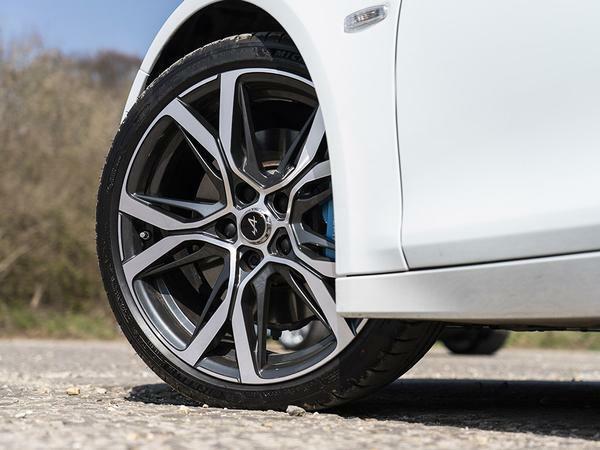 Thus the Alpine, in its entry-level Pure format, weighs 1,103kg. 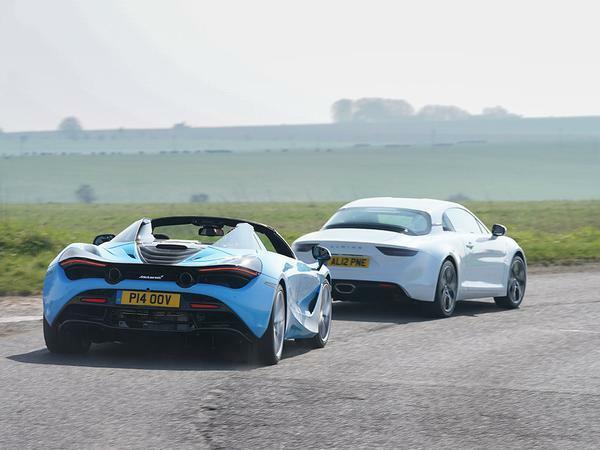 Which is more than 350kg lighter than the 720S. 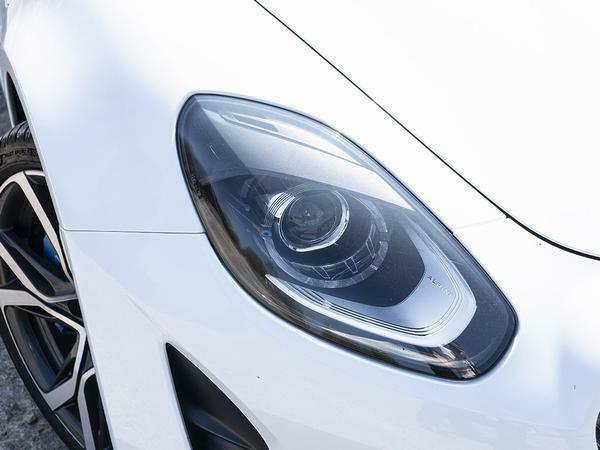 The car duly takes that on-paper difference and runs with it so far up the road that it takes about a nanosecond to recognise it has a colossal advantage. 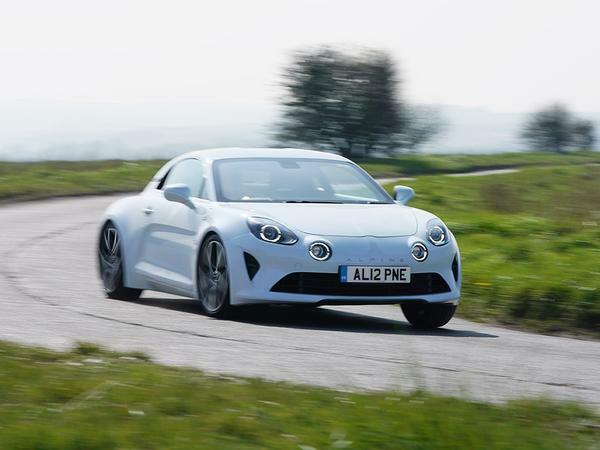 The 720S is beautifully damped, yes, but the A110 is so loose-limbed and lovely in its control of vertical body movements that it's like driving a cloud. 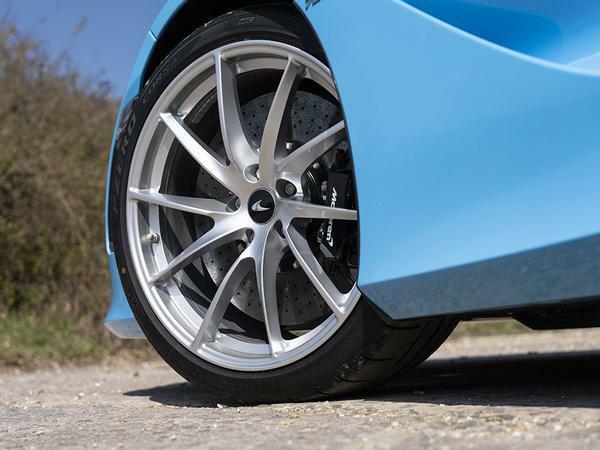 Only a cloud with a roll axis and centre of gravity at about shin height - so even while it floats and flits on what feels like about nine inches of wheel travel, it rounds corners with such light-footed insouciance that it makes even the McLaren's change of direction seem overwrought. And when you drive faster, it gets better. It just gets more good. 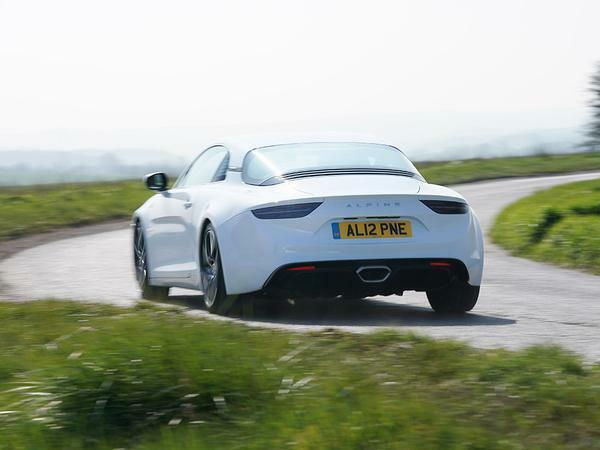 It is not just that the A110 is very well balanced in the way you might expect of a mid-engined sports car - because obviously the 720S is too - it's that you can feel its balance benefiting everything you do from the driver's seat because the subtleties of weight shift are so tangible. Factor in the unfussy steering and sufficient power to include the rear axle in any decision making, and the Alpine makes the concept 'fun' - the guilt-free and unfettered sort - more readily apparent than probably any other car on sale. More so than the McLaren? For me, yes. 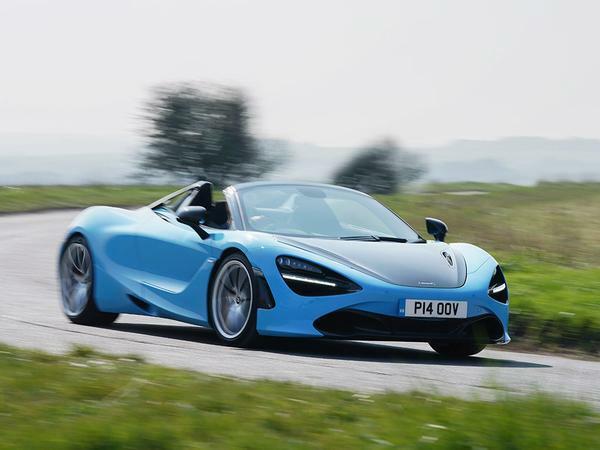 Driving the 720S quickly is undeniably compelling - and obviously it's capable of waltzing away from the A110 in virtually any scenario - but extracting even a third of its performance on the public highway feels perilously close to anti-social. In the Alpine though, with lower speed and attainable limits, the physical act of driving is rewarded no less thrillingly - and in a way that makes it seem like the most natural thing in the world. Which makes it the best mid-engine car you can actually buy. And own, run, park and adore. Good piece. More of these, please. Excellent - one of the best written articles I’ve read on PH for quite a while ! 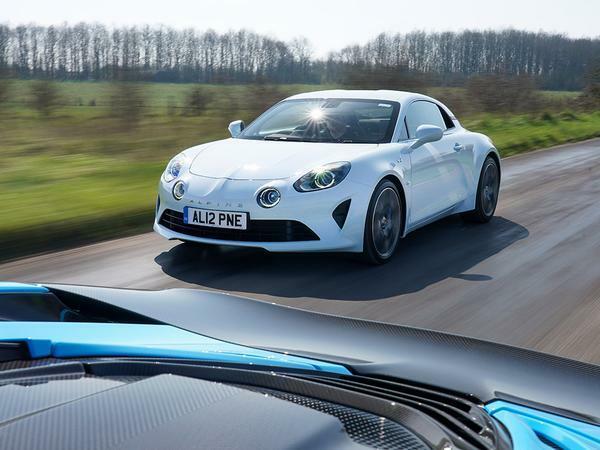 That Alpine really is a brilliant little car ! Boring sounding engines - McLaren should just put the original Mac F1 power plant in the 720 and be done with it! Alpine looking more and more tempting. Love both cars but having been in a few Mclarens I feel the interiors don't justify the price. It's time they changed their Iris sat nav altogether instead of keep updating it, the one I used was a nightmare and the engine is pretty soulless even though it has bombastic acceleration. Using it at normal everyday speeds it's comfy in fairness for a supercar but I personally would like to hear some nice sounds from behind. 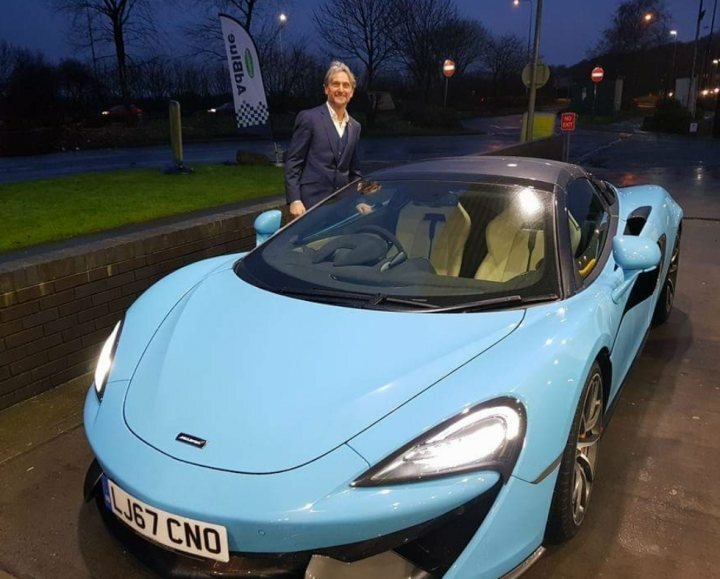 Mclaren have lent my pal a few now and in this colour they do look stunning. In fairness they've come a long way in such a short time they just need to sort the interior and engine noise out and they have a winner. The Alpine imo is right 1st time a great car.